It’s time for another kids craft stars challenge. This month the challenge was to create a craft out of a cereal box and boy was it a fun and tricky challenge. 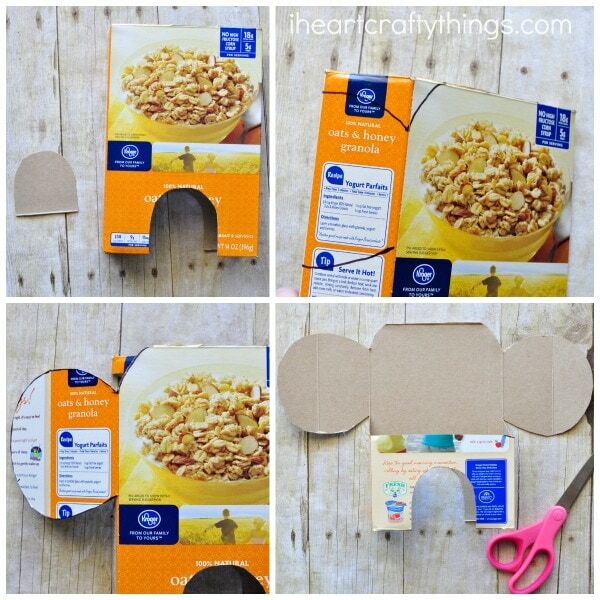 Today I’m sharing how to turn any cereal box into an awesome cereal box elephant craft. 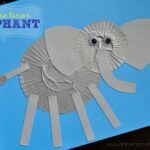 Little ones might have trouble cutting out the elephant but an adult can do the cutting part and kids will love painting, decorating and finishing the elephant craft. Find some great book recommendations near the middle of this post. 1. Start by opening up the top and bottom of your cereal box and cut off all of the folding flaps on both the top and bottom. 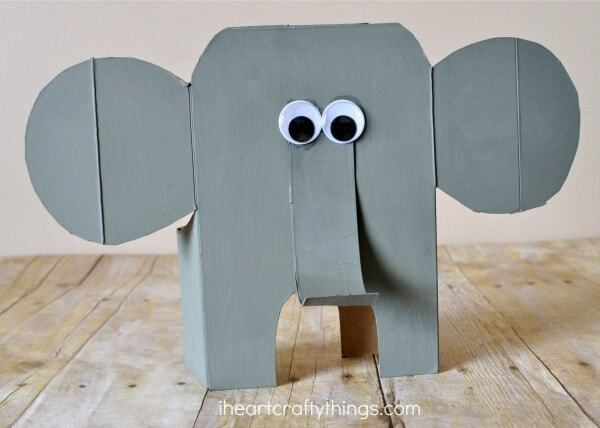 Save one of the pieces for the elephant trunk and discard of the rest. 2. Cut a half circle shape out of the middle of the bottom of your cereal box on both sides. Now your elephant has four legs. 3. Use your black marker to draw the shape of a head and elephant ears on the front and side of the cereal box. Our ears ran onto the back of the cereal box a little and that’s ok. Use your scissors to cut out the outlines you drew for the head and ears. 4. Cut off the remainder of the outline of the ears on the back of the cereal box about half way down the box. Now the shape of your elephant is finished. 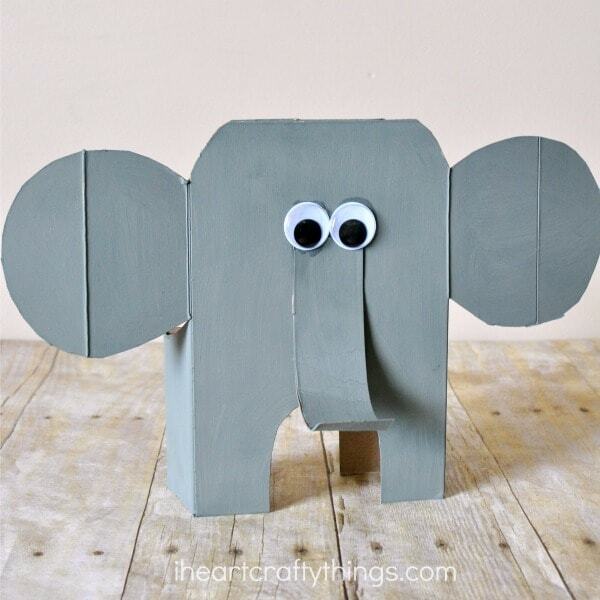 Paint your elephant with your gray paint and the trunk you set aside in step 1. Let the paint dry completely. 5. 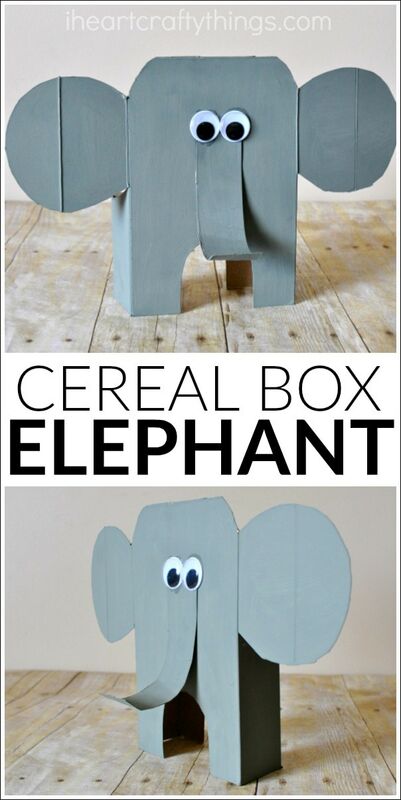 Finish your elephant craft by curling one end of the cardboard trunk and gluing the other end onto the middle of your cereal box elephant craft. 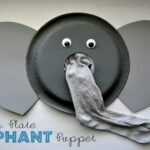 Then glue your googly eyes on top of the elephant trunk. Have you made a fun craft with a cereal box lately? We want to see! 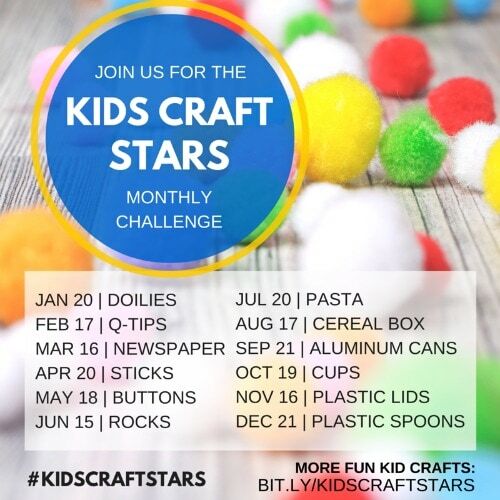 You can share pictures to Facebook, Instagram or Twitter and tag your photos with the hashtag #kidscraftstars. I will be sharing a few of my favorites every month. I hope you will join us throughout the year with all of our craft challenges. You can see our monthly schedule and materials below. 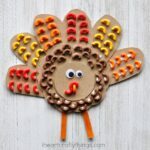 Check out these other cereal box crafts from the kids craft stars! You can keep up with all of our latest crafts by following our Pinterest Board or following our hashtag #kidscraftstars on Instagram.